Keeper Security deal in password management for consumers, SMBs and the enterprise. They’re preparing release a new study from the Ponemon Institute revealing new finding on SMB level security vulnerabilities – most breaches come from within due to negligence or mismanagement of passwords so it’s an easy fix if addressed early on. 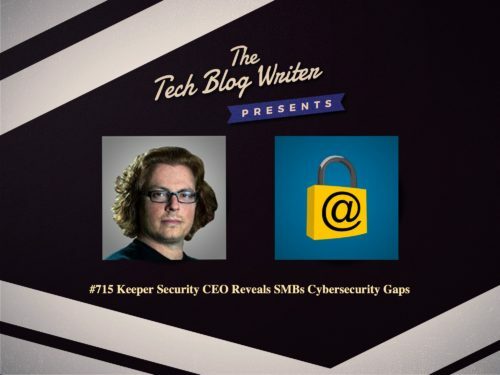 I wanted to learn more about how Keeper Security is transforming the way businesses and individuals protect their passwords and sensitive digital assets to significantly reduce cyber theft. As the leading password manager and digital vault, Keeper helps millions of people and thousands of businesses substantially mitigate the risk of a data breach. Keeper also protects industry-leading companies including Sony, Chipotle, and The University of Alabama at Birmingham. The company also partners with global OEMs and mobile operators to preload Keeper on smartphones and tablets.